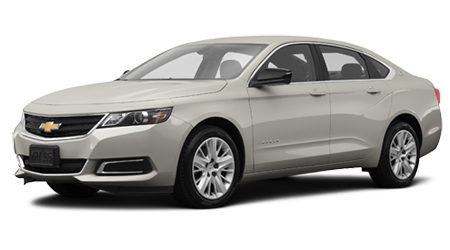 Lay your eyes on the sculpted and sophisticated beauty known as the 2015 Chevrolet Impala, and you'll be itching to hurry into Jim Norton Chevrolet in Broken Arrow, OK, to take one for a spin. The luxury and amenities you'll find inside this stellar sedan will blow your mind and will have you ready to sign papers immediately! We have a tremendous selection of Impalas for you to choose from, and we're offering amazing deals. So let's tuck a 2015 Chevrolet Impala inside your Tulsa, Tulsa County or Wagoner County garage this evening! Let's have a look at how the 2015 Chevrolet Impala does against the Ford Taurus. The sophisticated sedan market is crowded -- but what sets them apart is not only how they look, but how they perform. You'll find plenty of power and an ultra-smooth ride in the 2015 Chevrolet Impala via its two engine options -- a 2.5L 4-cylinder trotting out 196 horses or a 3.6L V6 which pumps out a potent 305 horses, both mated to a six-speed automatic transmission. 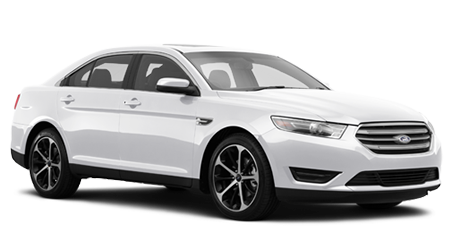 In comparison, the Ford Taurus adds a third engine --a 3.5L V6 with 288 hp, a 3.5L Turbo EcoBoost (AWD models only) with 365 horses and a 2.0L EcoBoost I4 producing 240 hp. With the V6 engine being a popular option in large sedans of this magnitude, the 2015 Chevy Impala wins this crown with nearly 20 more horses than the comparative Taurus V6. You wouldn't choose a large sedan unless you liked the space it offers in the cabin, and you'll find the 2015 Chevrolet Impala roomier than the Ford Taurus. Drivers, shotgun riders, and back seat passengers are all afforded more space, with front legroom at 45.8 inches and rear legroom offering up 39.8 inches. By contrast, the Taurus falls short in the front with an inch and a half less legroom at 44.2 inches and more than an inch and half less rear legroom at only 38.1 inches -- which gives the spaciousness crown to the 2015 Chevrolet Impala! In today's busy world, nobody has time to sift through options you want on your vehicle -- you'd prefer they come standard. The 2015 Chevy Impala doesn't let you down with its amazing tech features, including OnStar with 4G LTE Wi-Fi, an 8-way power driver's seat, SiriusXM satellite radio and a 4.3 inch color display audio system. You'll get a less-inviting 6-way power driver's seat in the Ford Taurus, but nothing else standard that the Impala offers.